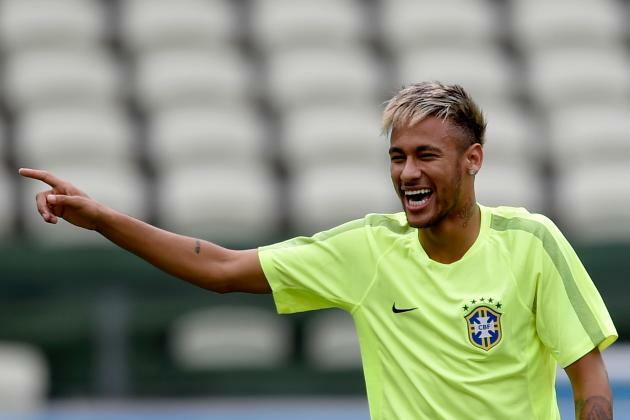 Brazil star Neymar might need to reconsider his new blonde highlights, or at least that's what some Selecao fans think. Soon after the World Cup host’s victory over Croatia in the opening match of the tournament, the 22-year-old Brazilian poster boy showed off his new hairstyle, with the sides of his head shaved and the front dyed blonde. However, after Brazil's disappointing 0-0 draw against Mexico, some are blaming his lighter locks for the poor performance. And, they might have a point. This isn’t the first time his hair has been linked to his game. Back in 2013 Neymar was sent off in Santos' 3-1 defeat to Ponte Preta when he debuted his new bleached blonde look. And lest we forget 2012, when Santos met Barcelona in the final of the 2012 FIFA Club World Cup. Neymar was sporting yet another blonde mohawk when a Lionel Messi-inspired Barca demolished the Brazilians 4-0. No wonder fans are worried about the so-called 'blonde curse'. Neymar will be on the pitch again on Tuesday night when Brazil face Cameroon in their final Group A match, which they need to win to ensure their place in the knockout stage. All eyes will be on Neymar – or should we say his hair?